Tokyo, Feb 12 (IANS) The organizers of the Tokyo 2020 Olympic Games on Tuesday said that they were confident that the new venues would be completed in time for test competitions to be held later this year, despite problems in many projects. The organizers on Tuesday showed the progress made in the construction of the new sports facilities in the Tokyo Bay area to reporters and evaluated the status of the work -- with less than a year and a half to go before the Olympics, reports Efe news. One of the biggest projects is the new Aquatics Center, which has been embroiled in a scandal about the falsification of technical data related to its anti-earthquake systems by a Japanese company. The arena would have to replace or repair 32 such units used in its structure, which are mandatory according to Japanese law, after the company KYP admitted to using irregular material in its seismic protection systems. Takahiro Otani, the head of planning and development of the venues, told Efe in a statement that this unexpected change would not affect the original schedule, which aims to complete the Aquatics Center by February 2020 and host test competitions in April. He added that earthquake protection was "100 percent guaranteed" in this facility, which would have a capacity of 15,000 and host the Olympic competitions in swimming, synchronized swimming and diving. Around 55 percent construction is complete for the Aquatics Center, which means that the work is progressing at a slower rate than the other projects due to its enormous size: 65,000 square meters, two Olympic-size swimming pools and another one for diving. Other facilities which have witnessed delays include the new Ariake Tennis Park, where the organizers had to find a new construction company after the first contractor went bankrupt. Work is progressing as per schedule for the 15,000-capacity Ariake Arena stadium, which will host volleyball, and the Olympics Gymnastics Center - with a capacity of 12,000 - as well as the venues for kayaking, canoeing and archery. All these facilities are located on artificial islands in the Tokyo Bay, the area with the biggest concentration of Olympic venues, where the 18,000-capacity Olympic Village is also being constructed. The organizers said that all the venues will be ready in time for a series of test competitions before the Games, to be held in three rounds: the first this summer, the second between October 2019 and February 2020 and the third in spring 2020. 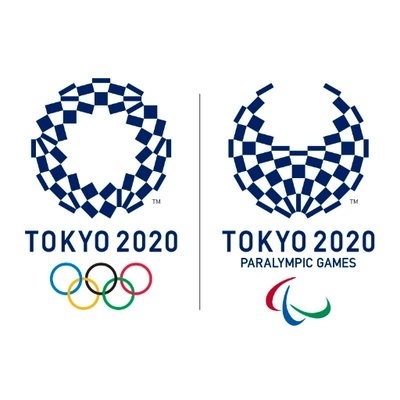 The second Summer Olympics in the Japanese capital - 56 years after the Tokyo 1964 Games - will be held between July 24 and August 9, 2020, while the Paralympic Games will start on August 25 and finish on September 6.